No sign up required – Check-in Daily on our Facebook page or Facebook group. You’ll need a fitness tracker, pedometer or a mobile app that tracks your steps via your phone. If you have a Fitbit, join our FitBit Group. We want you to work at your own pace and do what is comfortable for your fitness level. This isn’t a competition and it’s not about perfection. It’s about challenging yourself to do the work. If all you can do is 15 minutes of walking, then let that be your starting point. No judgement. 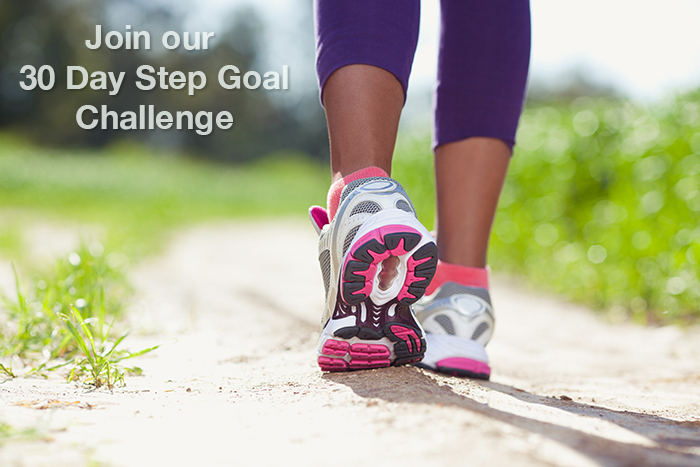 Join our Facebook group for support and additional information during the challenge. If you haven’t signed up already, join our email list by June 13th to be eligible for this month’s giveaway. On June 15th, we will give away three $30 Amazon gift cards. Three winners will be chosen at random from our list. Bonus: Join our June Dietbet – This month’s DietBet starts on June 5th with a $30 Bet – Lose to win! Lose 4% of your weight in 4 weeks and spilt the pot with other participants who have done the same. Photo weigh-in June 3rd – 5th. We’ve hosted 3500+ Dietbetters who have placed over $109,000 in bets and lost more than 20,000 pounds. Disclaimer* Before starting any exercise program, please consult with your doctor. We cannot be held responsible for any injuries resulting from attempting this exercise routine. If you have injuries that could be worsened, are pregnant, have knee issues, or are suffering neck and back pain, you should speak with a professional trainer about what workouts would be best for you. Do not attempt if you have current injuries, past surgeries or other physical issues/health issues that could be affected by exercise. Do not attempt if you are pregnant or could become pregnant. Don’t forget to stretch before and after working out to avoid injuries. If you feel pain or severe discomfort, STOP. 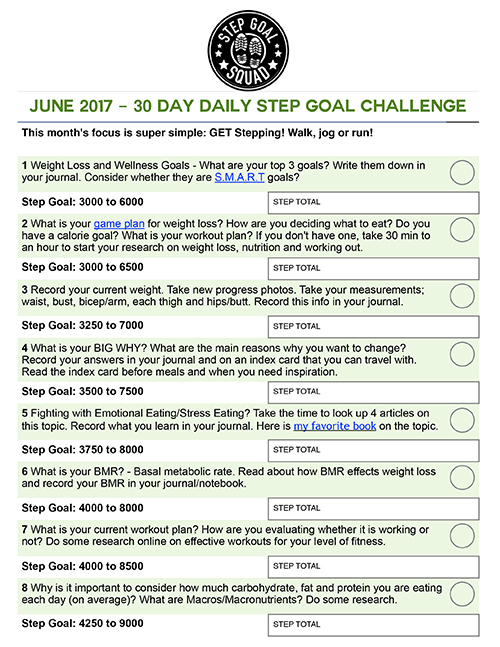 I want to participate in the June step challenge. The journey starts NOW. I am interested in the June challenge. My twin sister and I are in! I am in because I need to get back into a routine. That’s my problem too. Good and dessert. Sweets. I’m ready!!!!! … I printed out the checklist and brought a journal …. WE GOT THIS LADIES!!!!!!!!! Committing to this challenge for my physical and mental health! I’m so ready to shed some pounds. I got back in the gym on April 26,2017. So far I only lost 4 pounds. Been hitting the gym 3-4 days a week. I was 215 pounds. Now I’m 211 pounds. I’m 5 ft 6. Im trying to lost 15-20 pounds by June 26,2017. My Birthday. I want my health to be as young as my heart! I am in, 4real!! A change must come! My weight loss journey will begin with this challenge. I committed to this challenge because I’m at my heaviest weight ever and I do not like the lady I see when I look in the mirror (physically). I want to be a much healthier, happier, sexier me. I’m Fifty, Fabulous and starting with this challenge… ….. committing to becoming FIT. I’d love to be a part of this. I used to do about 10k now I’m down to about 6k on average. Having a desk job doesn’t help either. Maybe this will motivate me to increase my steps. Hi I am Joi from South Korea starting the challenge and doing well getting my steps in.